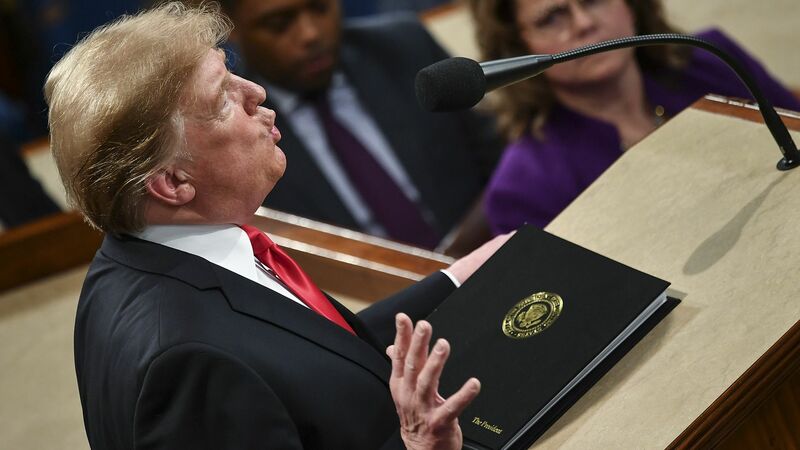 President Donald Trump reacted to the recently revealed transcripts from former FBI lawyer Lisa Page’s testimony before Congress, in a Wednesday tweet. Trump’s tweet comes after Congressman Doug Collins released 370 pages of Page’s transcript testimony on his own volition, and promised that he would release even more in the future. Page exchanged thousands of text messages with her lover and then-top FBI agent Peter Strzok about the investigations into former Secretary of State Hillary Clinton and the Trump 2016 campaign. Page explained that the the “insurance policy” text message referred to the FBI investigation into potential collusion between the Trump campaign the Russian government. Also see this link . . . I write on behalf of Americans for Tax Reform and our supporters across the state of Ohio to urge you to avoid approving a straight-up gas tax increase as you move forward with the state budget process. There are many opportunities to improve Ohio’s tax and regulatory climate, like pursuing reductions in income tax rates, it’s important to first do no harm. As such, I urge that you reject the aggressive, but misguided push to hike the state gas tax. A gas tax hike does the greatest harm to households who can least afford it. Coupled with gas tax prices that have been creeping up in Ohio, a gas tax hike would have especially adverse effects on the state’s lower income earners. Additionally, the 2003 gas tax increase failed to meet revenue projections. Also consider that a state gas tax increase would counteract the benefits of federal tax reform and eat into Ohio taxpayers’ federal tax cut savings. This is one of the reasons why Congress has declined to raise the federal gas tax, despite pressure for them to do so. According to Strategas Research Partners, 60% of the federal income tax cut would be wiped out by a $0.25 gas tax increase and rising prices. In addition to being bad policy, a gas tax increase is bad politics. Ballot measures to hike state gas taxes were resoundingly rejected in Missouri, Utah, and Washington State just last year. Between that and the throngs of French citizens now protesting President Emmanuel Macron’s gas tax hike, which he just suspended, it’s clear that gas tax hikes are a political loser, both at home and abroad. A significant gas tax increase is also being proposed in Minnesota, by a new Democrat Governor, with a Democrat-controlled House. Ohio’s Republican-led government can definitely do better. We thank you for your past, and continued efforts on reforms that enhance the liberty of Ohioans and their opportunities for success, like licensing reform, criminal justice reform, tax relief, and regulatory reform. We trust a better option than a straight-up gas tax increase will be found. If you have any questions or if ATR can be of assistance, don’t hesitate to contact me or Doug Kellogg, ATR State Projects Director, at dkellogg@atr.org or 202-785-0266. Akron, OH: Tom Zawistowski, President of the TEA Party-affiliated We the People Convention, today challenged the integrity of the proposed 18¢ per gallon increase in Ohio’s gasoline tax. The proposal put forward by Republican Governor Mike DeWine also includes built-in future increases based on the Consumer Price Index. The need for the tax increase is being blamed on the failure to address the issue by former Governor John Kasich. What’s Good for the Goose is Good for the Gander! Akron, OH: In response to the list of Trump related people and organizations that the Democrat/Socialist controlled US House Judiciary Committee released today sending “document requests to the following (81) people and entities related to its investigation into the alleged obstruction of justice, public corruption, and abuses of power by President Trump, his associates, and members of his administration.” Tom Zawistowski, President of the TEA Party affiliated We the People Convention, put together a list of people and organizations who Senator Lindsey Graham should subpoena to testify in front of the Republican Controlled Senate Judiciary Committee. If you vote for Democrats, for any office, you now have to account for their actions against life itself! America REJECTS the Leftist Democrat Socialist Party of DEATH! While ALL Democrats in the US Senate voted against the “Born-Alive Abortion Survivors Protection Act”, which has NOTHING to do with the health of the mother but simply gives a new born baby the Constitution Right to LIFE that we all have, a new poll shows STUNNING changes among young people and even Democrats concerning the legalization of infanticide that has passed by Democrats in New York and Vermont and was narrowly defeated in Virginia. Killing babies that are out of the womb apparently is even too far for those in our nation who support killing them up until the time of birth! This was NEVER really been about the “health of the Mother” or “women’s health services”, this has been genocide from the day Roe v Wade passed. Now they have exposed who they really are and American our horrified. Read the poll then vote to stop the killing! The recent debate over “late-term abortion,” fueled by state measures in New York and Virginia that loosened, or sought to loosen, abortion restrictions toward the end of a woman’s pregnancy, has caused “a dramatic shift” in public attitudes toward abortion policy, according to Barbara Carvalho who directed a new Marist poll, commissioned by the Knights of Columbus, a Catholic organization. By the numbers: The poll found Americans are now as likely to identify as pro-life (47%) as they are pro-choice (47%). Last month, a similar Marist survey found that Americans were more likely to identify as pro-choice than pro-life 55% to 38%, a 17-point gap. The survey also found that 80% of Americans support abortion being limited to the first three months of pregnancy, an increase of 5 percentage points since last month’s Marist poll. Between the lines: Marist has been polling Americans’ attitudes on abortion for over a decade, and Carvalho told Axios this is the first time since 2009 that as many or more Americans have identified as pro-life as have identified as pro-choice. But what Carvalho said she found most significant was that Democrats, specifically those under the the age of 45, seem to be leading the shift: This month’s poll found 34% of Democrats identify as pro-life vs. 61% pro-choice. Last month, those numbers were 20% and 75%, respectively. Among Americans under 45, 47% identify as pro-life vs. 48% pro-choice. In January, those numbers were 28% and 65%, respectively. Why it matters: Republicans have been on the offensive about this issue since the State of the Union, when Trump seized on the outrage over Virginia Gov. Ralph Northam’s abortion comments and the passage of a New York law to promote a congressional ban on late-term abortions. In November, the Department of Health and Human Services proposed a new rule that would require insurers send customers separate bills for coverage provided for abortion services. On Friday, the Trump administration issued a new rule barring organizations that provide abortion referrals, like Planned Parenthood, from receiving federal family planning money. Methodology: This survey of 1,008 adults was conducted via landline or cell phones, Feb. 12–Feb. 17 by The Marist Poll, sponsored and funded in partnership with The Knights of Columbus. Share the Truth about America! Don’t buy the media and Democrat Lies! Click here for more facts. Society MUST Reject the Hate of the Left! The media is responsible for creating the false narrative that America is a racist, sexist, homophobic, whatever nation. We are in FACT the most tolerant nation in the world and hate crimes are NOT rising at all. It is pure fiction. Jussie Smollett needs to be convicted for his heinous act of slandering millions of Americans to advance the lies about white male Trump supporters. Society must reject the hate filled actions of the left which are used to divide us. We do that through enforcing our laws. Click Here to Learn the FACTS about Hate Crimes in the US! Is it any wonder that American news consumers are at the end of their ropes of patience with the “mainstream media”? Three weeks ago, when I first documented troubling questions, contradictions, and doubts about Trump-hating, attention-craving actor Jussie Smollett’s absurd hate crime claims, few in the “professional” journalism herd paid heed. Now, with a grand jury investigation on the horizon, everyone’s a Johnny-come-lately debunker. And everyone’s making excuses: How could we have known? Why would anyone lie about racism? What could have possibly prepared us for such a scandalous swindle? I’m especially looking at you, Robin Roberts. You and ABC’s “Good Morning America” willingly played public relations agents for Smollett last week while his story was already falling apart and he refused to be fully transparent with investigators. Now, you defend yourselves by hiding behind a veil of ignorance about hate crimes hoaxes. —Columbia University, 2007. Remember black psychology professor Madonna Constantine? 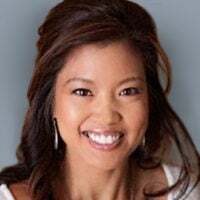 She made the rounds on none other than ABC’s “Good Morning America,” claiming she found a “degrading” noose (made of hand-tied twine) hanging from her office door. Constantine led fist-waving protests, decried “systematic racism,” and prompted a nationwide uproar, as I reported at the time in the New York Post. Things didn’t add up when Columbia initially blocked investigators from obtaining 56 hours of surveillance video. No culprits could be found on the militantly progressive campus obsessed with diversity and multiculturalism. It turned out that Constantine was desperately trying to distract from a brewing internal probe of her serial plagiarism, for which she was eventually fired. The hate crime probe hit a dead end and Constantine faced no criminal charges over the Fake Noose incident. —Baltimore Fire Department, 2007. Another manufactured outrage erupted when black firefighter-paramedic apprentice Donald Maynard claimed he found a knotted rope and threatening note with a noose drawing on it at his stationhouse. A federal civil rights investigation ensued and the NAACP cried racism—until Maynard confessed to the noose nonsense amid a department-wide cheating scandal. A top official revealed that Maynard admitted “conducting a scheme meant to create the perception that members within our department were acting in a discriminatory and unprofessional manner.” Maynard faced no criminal charges over the Fake Noose incident. —University of Delaware, 2015. Black Lives Matter agitators and campus activists triggered a full alert when a student spotted a “racist display” of three “noose-like objects” hanging from trees. The university president called it “deplorable;” protesters wept that they were not being taken seriously. After investigating, police discovered the “nooses” were metal “remnants of paper lanterns” hung as decorations during an alumni weekend celebration. —Salisbury State University, 2016. Students, faculty, and administrators were horrified when a stick figure hanging from a noose on a whiteboard was discovered at the school’s library. The N-word and the hashtag #WhitePower also appeared in the menacing graffiti. Campus authorities immediately launched an investigation, which exposed two black students as the perpetrators. Prosecutors declined to file criminal charges against the Fake Noosers. —Michigan State University, 2017. When a student reported a noose hanging outside her dorm room, MSU administrators went into full freakout mode over the racial incident. Cops and the Office of Institutional Equity were immediately notified. “A noose is a symbol of intimidation and threat that has a horrendous history in America,” the university president bemoaned. But it turned out the “noose” was a “packaged leather shoelace” that someone had dropped accidentally. But the museums refused to release surveillance video and my public records request filed last November yielded zero corroboration of any hate crime. The Washington Post, New York Times, and ABC’s “Good Morning America,” which all splashed the story front and center, have yet to follow up. —Mississippi State Capitol, 2018. ABC, CBS, CNN, and Yahoo were among the media outlets that blared headlines about seven nooses and “hate signs” found hanging in trees by the capitol building before a special runoff election for U.S. Senate. The stories created an unmistakable impression that the nooses were left by GOP racists intending to intimidate black voters. In truth, the nooses were a publicity stunt perpetrated by Democrats. When you’ve seen one social justice huckster, you’ve seen ’em all. The American People are Not Fooled! 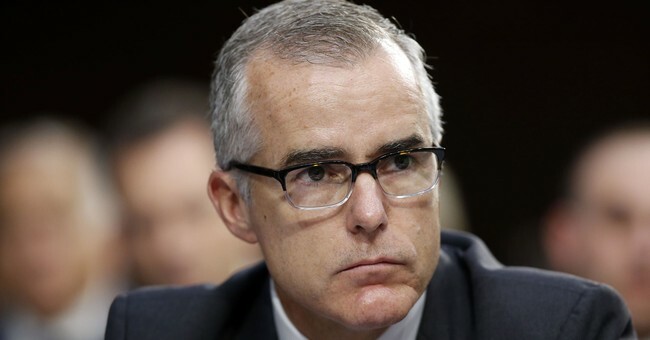 Earlier this week fired FBI Deputy Director Andrew McCabe, who served as acting director after James Comey was fired in May 2017, made headlines when he alleged meetings took place at the Department of Justice about ousting President Trump from office. Now according to a new Rasmussen Report, the majority of voters believe crimes were likely committed by DOJ and FBI officials and they want a special prosecutor to investigate. Most voters say top Justice Department and FBI officials are likely to have acted criminally when they secretly discussed removing President Trump from office and think a special prosecutor is needed to investigate. Fifty-six percent (56%) of Likely U.S. Voters believe senior federal law enforcement officials are likely to have broken the law in their discussions in May 2017 to oust Trump, with 37% who say it is Very Likely. The latest Rasmussen Reports national telephone and online survey finds that 36% consider that unlikely, with 19% who say it’s Not At All Likely that they broke the law. Fifty-one percent (51%) think a special prosecutor should be named to investigate the discussions among senior Justice Department and FBI officials in May 2017 to remove the president from office. Thirty-eight percent (38%) disagree, but 11% are undecided. President Trump is enraged over the revelations and took to Twitter earlier this week to slam McCabe and outgoing Deputy Attorney General Rod Rosenstein. Senate Judiciary Committee Chairman Lindsey Graham wants Rosenstein and McCabe to testify under oath on Capitol Hill about their conversations. And I’m confident new Attorney General will too.